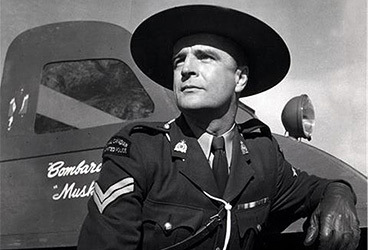 Gilles Pelletier is pictured as Corporal Jacques Gagnier in the popular TV series Royal Canadian Mounted Police, a series produced by Budge Crawley. He is the brother of Denise Pelletier. 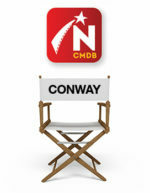 In addition to his career as an actor, in 1964, be joined Françoise Graton and Georges Groulx, in founding the Nouvelle compagnie théâtrale (NCT) with the goal of introducing students “to major universal dramatic works.” He directed several works for the NCT including Anton Chekhov`s The Seagull, Molière`s Don Juan and Eugène Ionesco`s Le Roi se meurt.In 1982, Pelletier left the administration of the NCT (which became the Théâtre Denise-Pelleiter in 1998). 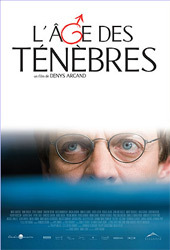 He was given the Order of Canada in 1988, the Ordre du Québec in 1993, and the Prix Denise-Pelletier in 1998. 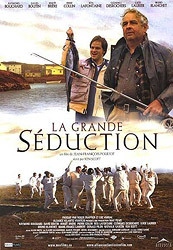 Poster for La Grande Séduction courtesy of Alliance Atlantis Vivafilm.